山田祐也 We, UNKNOWN ASIA Executive Committee would like to express our sincere gratitude from bottom of our hearts to you all. We had very successful and great 3 days with you. UNKNOWN ASIA 2018 welcomed 6,006 audiences during 3 days which was much more than last year’s numbers and everything was done so smoothly and successfully. Despite of the typhoon hit the Kansai International Airport just before the art fair, you came to Osaka via Tokyo, Nagoya, Fukuoka and other cities in Japan from your countries under such hard circumstances, and mostly all exhibitors except for one who unfortunately were unable to find alternative flights participated after long trips. This made us so touched and encouraged very much. This year of UNKNOWN ASIA is now one of the special year for us. 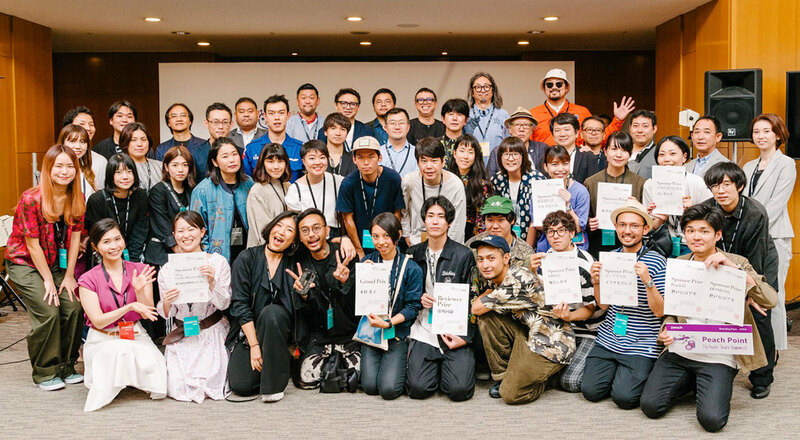 This year, 215 creators were exhibited from Japan, Korea, China, Taiwan, Hong Kong, Macau, Indonesia, Thai, Malaysia and France, and 24 judges and 124 reviewers gathered on the VIP day. Judges and reviewers communicated all exhibitors and their works, and each award and Grand Prize were selected and given. We do hope various opportunities and projects between judges, reviewers and exhibitors will be created from Osaka to Asia, the same as so far. We would like to support Hanako Kimura, the Grand Prize winner of 2018, and all exhibitors in this year strongly. This will not make it happen without your support. We sincerely would like to ask your continuous your friendships and support to us. Let us introduce UNKNOWN ASIA 2019. It will be held from October 25th (Fri) to 27th (Sun) at new venue located in Grand Front Osaka, “Congres Convention Center” which is bigger capacity hall. We, the executive committee continues to promote Asian creative scenes and deliver One Asia to the world through “art”. We appreciate your continued support and cooperation. Thank you very much again for exhibitors, judges, reviewers, audiences, sponsored and supported companies and organization for your tremendous support to UNKNOWN ASIA 2018.